The Thracian treasure from Rogozen is said to be Bulgaria's archaeological find of the previous century or as many archaeologists say "the horn of plenty was poured out over Bulgaria once again in 1986 when that great treasure was found". Its uniqueness gave the archaeologists much material to work on as it revealed some ancient secrets unknown by now. The exclusive finding is now strictly guarded in the Vratsa History Museum that offers its visitors a rare journey through the ancient world of the Thracian art. Willing to see Bulgaria's treasure of the 20th century? Well, the only chance to do that is to visit Vratsa, situated at the foot of Vratsa Mountain, famous for its ancient history and beautiful nature. The region is also famous for its world-renowned Ledenika cave. The Rogozen treasure, the largest Thracian treasure found so far, dated to the pre-Hellenistic Age, is one of the most interesting things in the northern town. Ivan Dimitrov from the village of Rogozen, found the first 65 silver vessels while digging into his garden, just a few days after that the major excavations began and the other parts of the treasure came to life for the people. 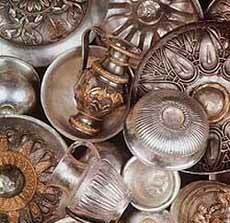 The "find of the century" represents a collection of 165 beautifully worked silver vessels. It is believed to have belonged to a rich Thracian family involved into the ruling of the Triballi tribe. There are 108 phiales included in the treasure. Some of them are decorated with geometrical and plant ornaments. A total of 54 jugs are included in the Rogozen treasure as well. Some experts say that these unique vessels could have been produced only by the local tribe. Their ornamentation divides the Rogozen jugs into two varieties: jugs decorated with geometrical, plant and animal ornaments and motifs, and jugs decorated with mythological scenes. Archaeologists say that before the Rogozen treasure came to light there was no certain idea about a Thracian iconography of the Great Goddess. Yet now the Rogozen treasure showed its domestic image. The other deity is depicted as horseman in different scenes and actions. The most characteristic of them is the 'boar hunt'. The treasure is said to have been made, collected and added to over a long period, from the end of the 6th century B.C. to the mid-4th century B.C. or in the course of about 150 years. It was found in hidden in the earth because of the danger of the campaigns threatened to be undertaken by the Macedonian rulers. Three goblets are also among the greatest found ever but they are different in form and ornamentation. On the largest of them there is a picture of a solemn procession of animals: a bird of prey holding a fish in its beak and a hare in its talons; a bearded he-goat with huge horns is before it and there are three stags in front. Specialists are now busy to study that great piece of art. They focus on the composition of the silver, the technique of working and chiselling it, the detailed deciphering and explanation of the inscriptions. The scenes and images will be deciphered in the language of art, if the right cipher is found. That treasure also gives historians the chance to look for the real place of the Triballi and their culture in Antiquity and amid the other peoples and cultures.